Being able to visualize large collections of data is absolutely vital in the domain of cultural heritage—both for scholarly work and public consumption. Recent work explores novel and engaging ways to visualize and explore cultural heritage data collections and tell little stories with big data. See demos of applications built on Microsoft PixelSense and Surfaces that demonstrate the architecture of intimacy and public interactives. These range from digital memorials to multitouch interaction to explore large-format artworks in their rich context of related artworks, annotations, and guided tours. We will also explore the technological and social challenges of creating interactive exhibits around the AIDS Memorial Quilt, the largest community-created piece of folk art in the world. These applications are a beachhead on the untouched shores of big humanities research. They are what we can expect today and are also first steps towards what might define an ideal user interface. Andries van Dam, is the Thomas J. Watson, Jr. University Professor of Technology and Education and Professor of Computer Science at Brown University. He has been a member of Brown's faculty since 1965, was a co-founder of Brown's Computer Science Department and its first Chairman from 1979 to 1985, and was also Brown's first Vice President for Research from 2002 - 2006. His research includes work on computer graphics, hypermedia systems, post-WIMP user interfaces, including immersive virtual reality and pen- and touch-computing, and educational software. He has been working for over four decades on systems for creating and reading electronic books with interactive illustrations for use in teaching and research. In 1967 he co-founded ACM SICGRAPH (the precursor of SIGGRAPH) and from 1985 through 1987 was Chairman of the Computing Research Association. He is a Fellow of ACM, IEEE, and AAAS, a member of the National Academy of Engineering and the American Academy of Arts & Sciences, and holds four honorary doctorates. He has authored or co-authored over 100 papers and nine books, including "Fundamentals of Interactive Computer Graphics and three editions of "Computer Graphics: Principles and Practice". Anne Balsamo joined the New School as Dean of the School of Media Studies in the New School for Public Engagement in 2012. Her recent book, Designing Culture: The Technological Imagination at Work (Duke, 2011) examines the relationship between culture and technological innovation, with a particular focus on the role of the humanities in cultural innovation. Previously she was a Full Professor at the University of Southern California where she held joint appointments in the Annenberg School of Communication and the Interactive Media Division of the School of Cinematic Arts. From 2004-2007, she served as the Director of the Institute for Multimedia Literacy at USC where she created one of the first academic programs in multimedia literacy across the curriculum. In 2002, she co-founded, Onomy Labs, Inc. a Silicon Valley technology design and fabrication company that builds cultural technologies. Previously she was a member of RED (Research on Experimental Documents), a collaborative research-design group at Xerox PARC who created experimental reading devices and new media genres. She served as project manager and new media designer for the development of RED's interactive museum exhibit, XFR: Experiments in the Future of Reading that toured Science/Technology Museums in the U.S. from 2000-2003. Her first book, Technologies of the Gendered Body: Reading Cyborg Women (Duke UP, 1996) investigated the social and cultural implications of emergent bio-technologies. 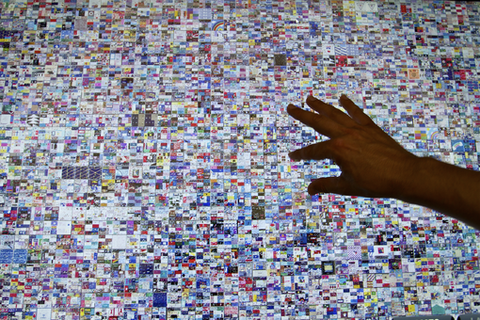 In 2010, she received a grant from the National Endowment for the Humanities to create an interactive tangible interface for the AIDS Memorial Quilt. In 2008 she received a grant from the MacArthur Foundation to study the future of museums and libraries in a digital age that focused on the role of play and tinkering in the production of knowledge. Donald Brinkman manages external programs in digital humanities, digital heritage and games for learning at Microsoft Research. He is the Microsoft champion for the Just Press Play project, an experiment to transform the undergraduate education of 750 students at Rochester Institute of Technology into a gameful narrative. He is also leading the Microsoft/Mozilla collaboration to build the Open Badges Infrastructure to support entirely new types of education research and disruptive models of credentialing the skills of lifelong learners. Donald is a writer, painter, game designer, and a passionate advocate of the benefits of building bridges between technical and humanist disciplines. He is particularly interested in disruptive technologies that leverage crowdsourcing, social computing, culture jamming, transmedia, and other non-traditional approaches. An archaeologist who has worked extensively throughout North America and the Near East, Ethan Watrall is an Assistant Professor in the Department of Anthropology and Associate Director of MATRIX: The Center for Digital Humanities & Social Sciences (http://matrix.msu.edu) at Michigan State University. In addition, Ethan is Director of the Cultural Heritage Informatics Initiative (http://chi.anthropology.msu.edu) and the Cultural Heritage Informatics Fieldschool at Michigan State University (http://chi.anthropology.msu.edu/fieldschool/). Ethan is primarily interested in digital cultural heritage and digital archaeology, with particular focus on serious games & meaningful play, mobile & geospatial for cultural heritage, and linked open archaeological data. Ethan is PI of the recently completed, NEH funded "Red Land/Black Land: Teaching Ancient Egyptian History Through Game-Based Learning” project. Ethan is founder and editor of Play the Past (http://www.playthepast.org), a collaborative authored, scholarly blog dedicated to exploring the intersection between games and cultural heritage. In addition, Ethan is co-editor of Archaeology 2.0: New Tools for Communication and Collaboration, an open access volume published by the UCLA Cotsen Institute of Archaeology Press (http://www.escholarship.org/uc/item/1r6137tb). In addition to his scholarly work, Ethan has written trade books on web and interactive design, including Head First Web Design published by O’Reilly.